Podgorica, (MINA-BUSINESS) – At today’s meeting, Minister of Finance Darko Radunovic and the U.S. 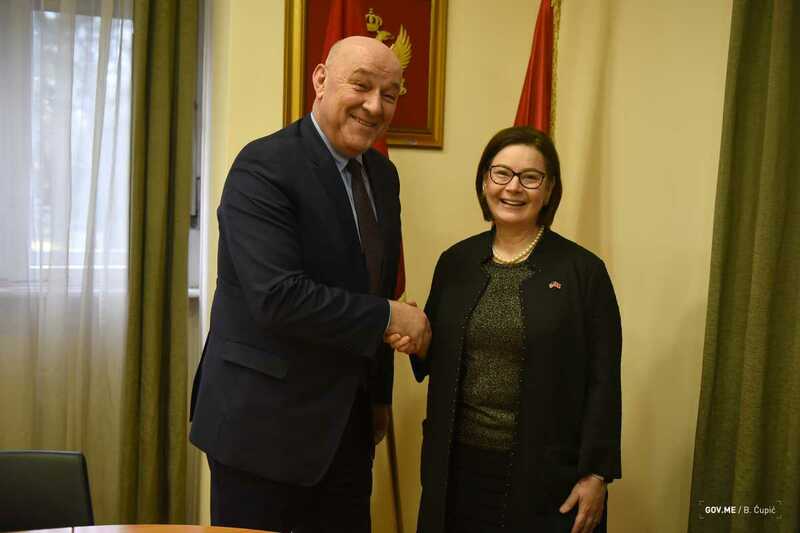 Ambassador to Podgorica Judy Rising Reinke expressed their expectation that the good cooperation between the institutions of Montenegro and the United States Embassy would continue and be stronger and better in the coming period. Rising Reinke said that she was satisfied with the good relations between Montenegro and the United States of America. According to a press release issued by the Ministry, she expressed readiness to contribute to the improvement of cooperation between the two countries, underlining the importance of the role the Ministry of Finance had played in the process of stabilization of public finance. The two officials said that they expected from the enhancement of institutional cooperation between Montenegro and the U.S. Embassy to result in a greater presence of American investors in Montenegro. Radunovic tanked Rising Reinke for support in the implementation of a series of projects in different fields, highlighting the good cooperation with the institutions headquartered in the U.S.A., including the Word Bank and the International Monetary Fund.